Properties in Beaches Museum & History Park average 4.5 out of 5 stars. Property 1: Beachy Guest Cottage!! Enjoy Ocean View From Twin Palms Cottage's Front Porch! Salt Air And Seagulls! Property 6: Enjoy Ocean View From Twin Palms Cottage's Front Porch! Salt Air And Seagulls! Available this April! 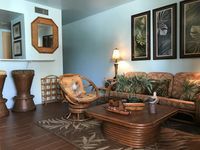 Classic Florida Beach Cottage in Atlantic Beach-3 Mo. Min. Property 18: Available this April! 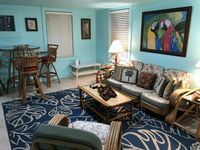 Classic Florida Beach Cottage in Atlantic Beach-3 Mo. Min. Location was very convenient for restaurants, stores, and you are just steps away from the beach. Place was neat, clean and comfortable. Quiet area while we were there in early April.